Thanks again for a great job - completed ahead of time. It really has been a rare pleasure. I would like to take this opportunity to thank you and your team for the lovely fireplace you have created. 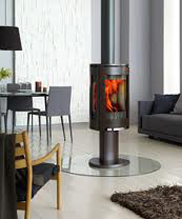 Wenlock Stoves has now moved to be part of our sister company in Wenlock. The map below shows our new location.